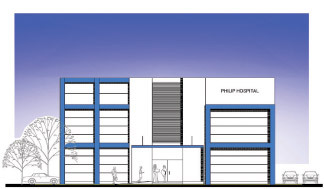 Philip Hospital Kalutara would invest nearly Rs. 500 million for several hospital related development projects this year. This includes a new hospital in Nagoda in proximity to the Southern Highway. She said that the construction has already commenced in a newly purchased 20 perch land and they hope to open the hospital in August this year. She said that the two floor hospital under the first phase would create over 70 employment opportunities. The total investment for this project would be in the excess of Rs. 30 million. She said that profits generated within the company would be invested while they also hope to borrow 60 %. The family owned hospital is also looking at a comprehensive nursing school in both Kalutara and in Jaffna. “We have observed that there are many women still going overseas for unskilled ‘jobs’ for lower salaries. What we want to do is teach young women with in- house on the job training and then allow them to gain foreign employment. She said that they would be training the nurses free of charge and would also provide them with a monthly allowance. The hospital hopes to tie up with a partner in Jaffna to introduce hospital staff training service in Jaffna as well. Asked if they have plans to open a hospital in Jaffna she answered in the negative. Commenting on their Kalutara hospital development she said that they had also acquired the adjoining building and today they have several medical equipment and facilities which are only available outside Colombo. These include laparoscopic surgery, advanced eye surgery, digital x-ray, 24 hour emergency and pharmacy and many similar features including 8 ICU beds. “We would also be upgrading our laboratory facilities and would add 25 more ‘beds’ by the end of 2013. She said that they would also launch medical tourism packages mainly to the European and the Maldives market. “We would be mainly targeting the dental, medical check ups and eye treatment packages to this segment,” she said. She added that they had already had successful discussions with hoteliers in the area in this regard. She said that today the health sector is very competitive and lamented that advanced equipment is very expensive in Sri Lanka than overseas. She also said that there is also a lack of consultant doctors.